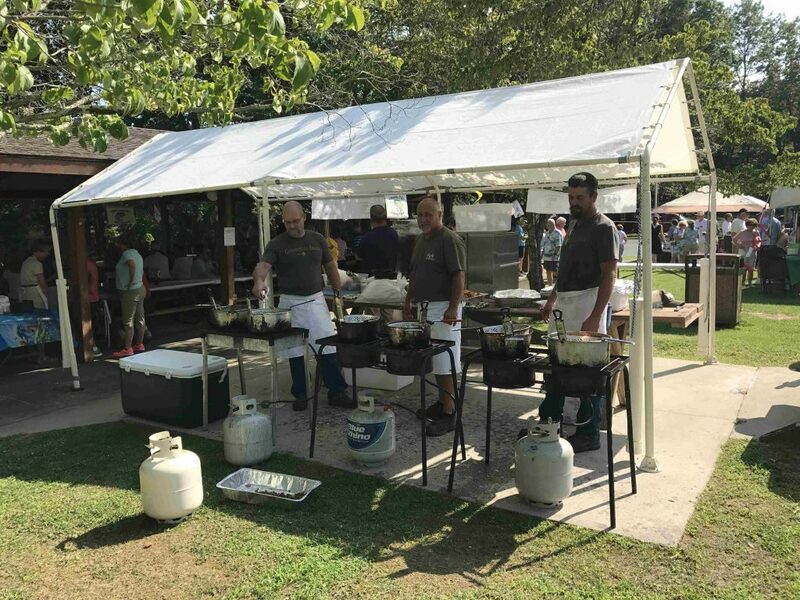 Great weather, 260 guests, and the largest fish fillets anyone could remember made the 2017 Fish Fry a memorable event. 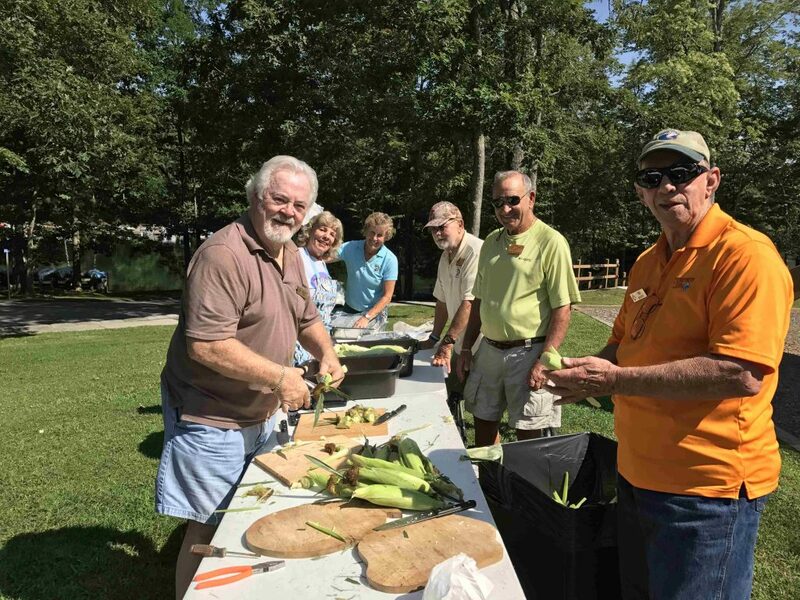 Throw in cold beer and drinks, 300 ears of corn, a new side dish of pulled pork and all the accompanying other side dishes… it was quite the banquet. And that was just part of the fun. 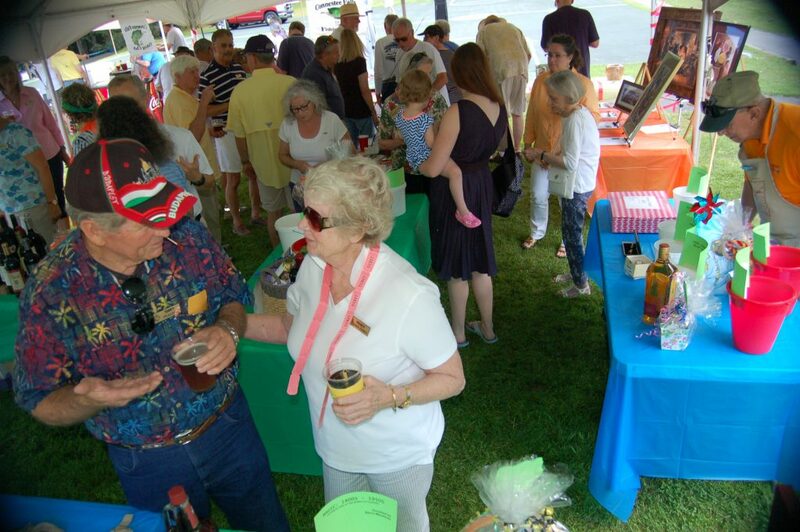 Under the big tent, tables were laden with a multitude of high quality prizes waiting to be snapped up by those lucky winners of the raffles and silent auctions. Sitting majestically amongst them was our very first “Wine Bonanza,” open to the whole Connestee community. Thirty-seven bottles of wine, winner takes all! 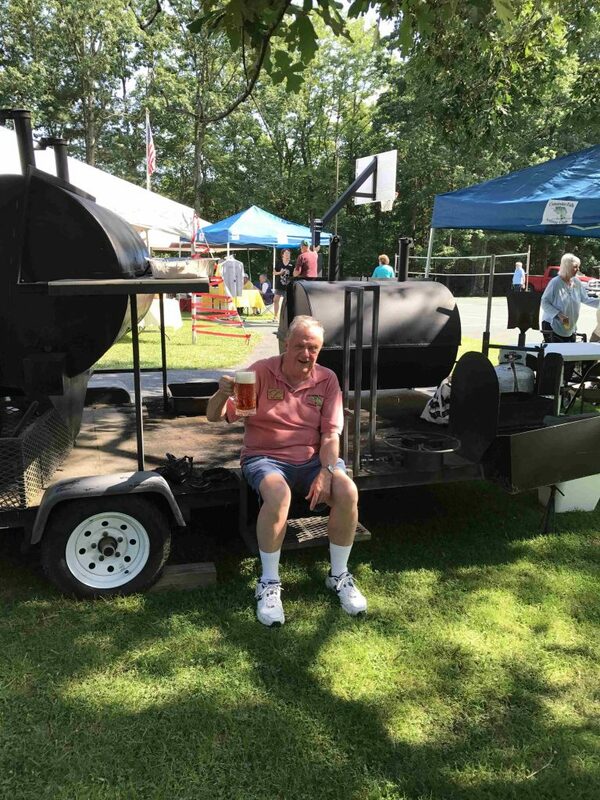 The winner was Peter Covell, of Utsonati Lane. These events of course just don’t happen overnight. They take months of planning and even occasional periods of blind panic. Anyone who’s ever been involved in an event on this scale will be familiar with the statement, “I thought you were bringing that!” Or in our particular case, “What do mean the power’s out!” Steve Seelinger, as this year’s chair, and his army of volunteers with support from our very own CFPOA staff made this year’s event look seamless. Congratulations and thank you from all of us! Finally, a special thanks must go to you, our members. Without your support, this and all the other wonderful things that the Fishing Club does throughout the year would not be possible.